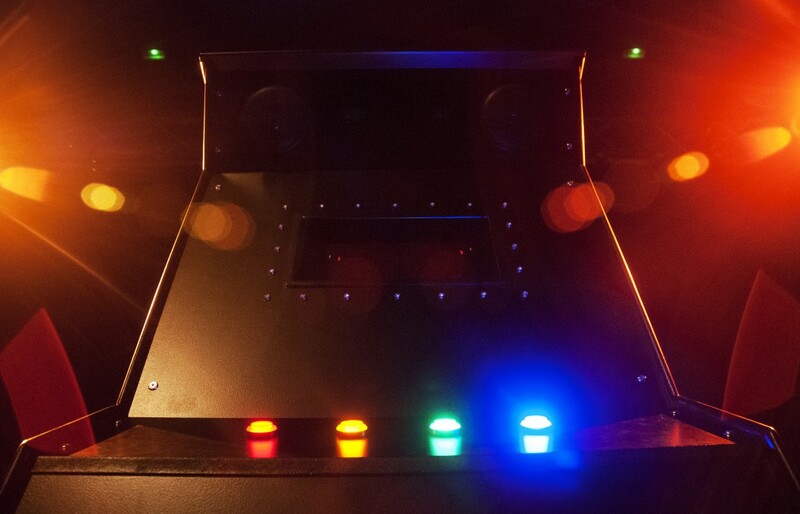 The Imitarium is a mobile, miniature interactive-venue that melds theatre technologies from the Victorian era to the present day to create a magical audience experience. Interact with a musical performance, noir-in-a-box, taking place in The Imitarium, where three-dimensional hologram-like performers appear and compete for your vote. Drawing heavily on the aesthetics of the coin-operated arcade machine from the 1970s and ‘80s, the interactive artwork is re-imagined here using the visual language of the arcade machine. The Imitarium has been wowing audiences since its first appearance in 2013. The Imitarium was designed and developed by Steve Wade at Lancaster University as part of an AHRC funded Masters in Theatre and Performance.